Using grains as a base for a salad is a great way to get creative and to make a salad more filling. 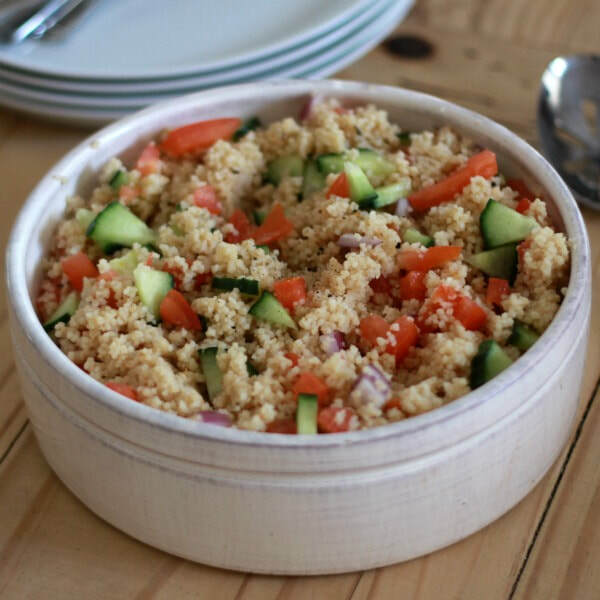 You can also try making this salad with brown rice to get a serving of whole grains. If you like grain-based salads try this Fiesta Rice, or this Colorful Farro Salad. Toss together the cucumbers, tomatoes, onions, couscous (or rice), dill, and salad dressing. Chill for 1 hour (optional, this will blend and enhance flavors)​.